Google Maps has been updated to version 4.0.0 today bringing a new design to its iOS app. The flatter look goes well with iOS 8 and in fact looks like a blend of Apple's latest OS X Yosemite, in my opinion. The Android version of the app was also updated to version 9.0 yesterday with similar improvements. Full details are below. 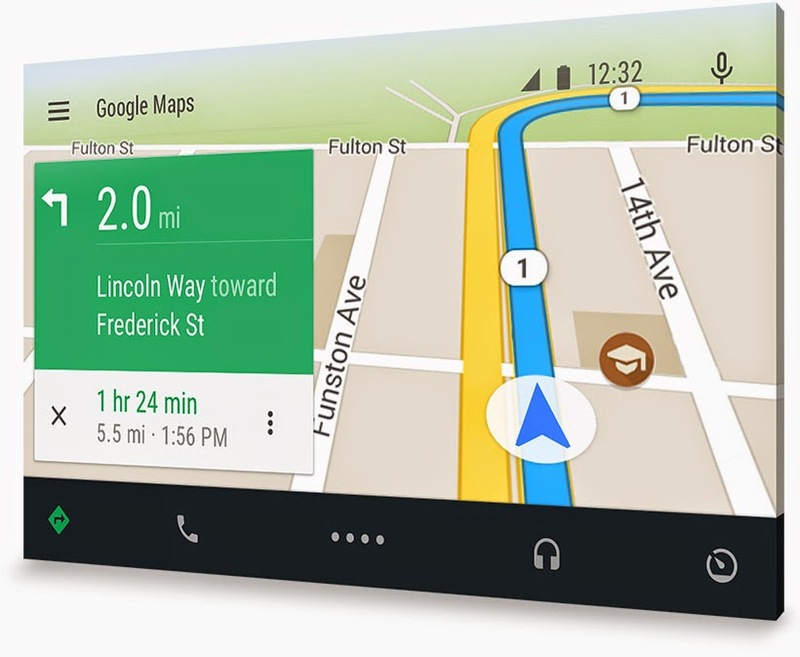 Note: The image above is of Google Maps on the upcoming Android Auto. Is there some way to have iOS Google Maps through AppRadio mode or CarPlay without jailbreaking?